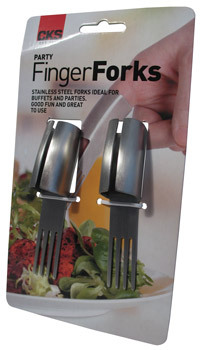 After the droolworthy Motorized Spaghetti Forks, the next innovation in the cutlery is this Finger Forks. The wearable stainless steel forks might not help you even one extra bit in digging your meal but will definitely be fun…(though, it’s another thing will be more fun to those watching you)! Kiddy stuff! The finger forks sell for £4.